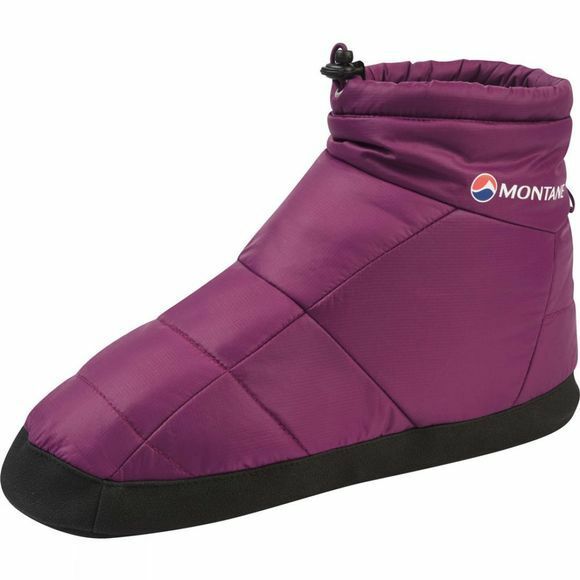 A lightweight bootie for insulated, packable comfort when camping at the end of a hard day in the mountains. Take them with you on expedition in the Himalaya or a multi-day adventure in the Cairngorms. Pertex Microlight Ripstop is a 100-ercent windproof outer fabric. A soft brushed microfleece lining throughout provides warmth and wicking. Tough Hypalon across the sole panel enhances durability. Primaloft Gold insulation throughout the upper is warm, packable and exceptionally fast drying. The inner sole panel features Grip Control to prevent the insulation slipping and provide better stability.